Home > Dangerous Bacteria > Do People Still Get the Plague? The disease we usually refer to as the plague has a long history. Outbreaks of bubonic and pneumonic plague, often called the black plague, were caused by an infection due to the bacterium Yersinia pestis that swept the medieval world and killed millions of people. Between the 1300s and the 1600s waves of plague pandemics affected Europe several times. About half of the population of Europe was killed by the plague in the mid 1300s. The great plague of London, just before the great fire of London in 1666, was responsible for decimating the population in the capital of England. The disease declined after the 1700s, mostly because of improved sanitation. The infection only really gets a hold and starts to pass from people to people when the bacterium is constantly introduced into the human population from animal reservoirs. In most cases, the animal responsible is the rat, which is infected by fleas that carry Yersinia pestis. As people began to live in better housing, with better water and sewage systems and were no longer exposed to rats and their fleas. Today, plague is very rare in Europe and has been since the 1720s. 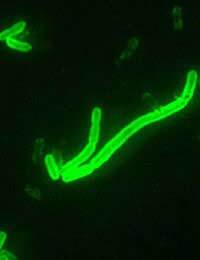 Unfortunately, the bacterium that causes the disease is still very much alive and waves of infection continued to affect other parts of the world, and there are still isolated outbreaks today. During the 1800s there were several severe pandemics of bubonic plague that started in central Asia and spread throughout countries in the East, including India and China, spreading through many other areas of the world. Outbreaks were still going on by the beginning of the 20th century and the constant pandemics that affected India led to the deaths of many British colonialists. The British government in India were also held to blame for mismanaging the pandemics and some historians regard the plague as being one of the important factors that lead to the early uprisings that eventually led to Indian independence later in the 20th century. Do People Get Plague Today? Yes, and the disease is more widespread than most people think, although it is usually contained quickly and pandemics no longer occur. Most surprising of all is that there are around 15 cases of bubonic plague in the United States of America each year, usually concentrated around the southern states of New Mexico, Arizona and Colorado. California, Nevada and Oregon also report isolated cases. Worldwide, the number of people infected annually totals about 3000 and in the last few years infections have been reported in South America, the Middle East, eastern and southern Africa, Russia and China. The most recent outbreak of bubonic plague occurred in 2010, in Peru. On August 4th last year, a boy of 14 who had Down’s syndrome was killed by bubonic plague and his infection triggered an outbreak in which around 30 people were ill. None of the others died and mostly they were cases of bubonic plague, which was caught as a result of flea bites. About 5 people contracted pneumonic plague – the same infection – but in the lungs. Pneumonic plague is more deadly and is due to direct human to human transmission of the bacterium by coughing and sneezing. The reason that plague is so much less prevalent today is that antibiotic treatment is used to protect anyone who has come into contact with any of the victims of an outbreak. This prevents them getting ill and stops the disease spreading. Antibiotics such as tetracycline are very effective against plague bacteria, and the disease is not common enough that antibiotic resistant strains have become a real problem. Further outbreaks are always possible, particularly in poorer communities in which people still live in close proximity to the rats that bear the fleas that carry Yersinia pestis. All areas in which plague is still known to be a risk try to prevent outbreaks by controlling the rat population and by improving living conditions and sanitation. Health workers in such areas can also be vaccinated against plague. I don't believe it still exists!